My friends started asking me about the extra sparkly diamond rings 💍 on my fingers when I shared them on my Instagram stories around two weeks ago. The perfect cut 💎 caught everyone’s attention 😍. We got acquainted with Wuen Ho two years ago when Hubby purchased our engagement ring from him. Hubby was really impressed with his knowledge on diamonds and also his great service, and he walked home satisfied with a beautiful ring. Fast forward two years later to the present, Wuen Ho has founded his own jewellery store, The House of Diamonds. It was certain for Hubby and I to visit the store for an upgrade. Just to provide you with a little background on Wuen Ho, he is a GIA (Gemological Institute of America) Graduate, accredited diamond and jewellery professional. Wuen Ho sees diamond as a highly valuable gemstone with great investment potential. He aims to educate and support his customers on capitalizing on this precious through his business. Hubby loves the diamonds here which complement any type of hand shape, size, or skin tone, adding sparkles which can brighten up any dull moment! We love this setting in particular as it amplifies the diamond. For those looking for a more economical option, this rose setting was specifically designed to enhance the light reflection of the diamond, creating a sparkling effect on a 0.4 – 0.5 carat stone to be equivalent to that of a 1 carat stone. The rose setting was the product of 8 years of research by Wuen Ho, and you can truly see the efforts invested in the creation of such a masterpiece. Choosing a diamond ring is not an easy task as we are often spoilt for choice.And you know how men feel about choosing a dress for their girlfriends, not to mention a piece of accessory that means so much to a girl. To the men out there, Flyingindance will be sharing with you why you should consider a bespoke engagement ring fromThe House of Diamonds. Trust me, your girl will definitely love a customised and unique ring from The House of Diamonds.If you are looking for a diamond ring that’s unique with a personal touch, The House of Diamonds is the perfect place to get it done. Enter The House of Diamonds and return home with a ring which is uniquely yours – a one-off. The process of creating the ring itself will be a journey of discovery, one where you can create the perfect ring to symbolize your relationship. People say that diamonds are a girl’s best friend, but the effort and love behind the crafting of the diamond would mean much more to a girl. 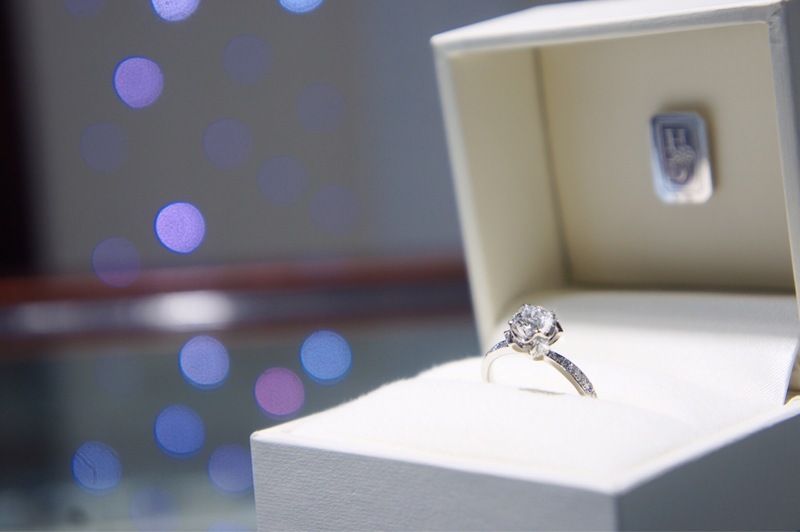 On top of that, the price for a bespoke engagement ring will not cost more than an equivalent premade engagement ring from other high street jewelers. With a Bespoke Engagement Ring, you will be able to flaunt it like a celebrity and bedazzle everyone around you! Flyingindance will run you through on creating your one-off engagement ring which will ensure that you have an experience which is connecting, inspirational, engaging, and rewarding. The House of Diamonds (HOD) assures that commissioning a bespoke ring won’t cost you any more than the equivalent quality, ready-made ring on the high street. HOD constantly monitors the national average costs for mounted rings while ensuring that they purchase high quality materials through their years of industry experience. This means that not only do you enjoy the thrill of creating your own unique piece, but you do so knowing that HOD promises you the best value for money. Do share your budget with HOD be it in the hundreds or thousands and they will do their utmost best to cater to your budget. Your satisfaction is their priority. After deciding on your budget, get started by finding your inspiration. Are you overflowing with ideas? Or do need some extra push to acquire some inspiration? Either way, share your thoughts with Wuen Ho, who is an expert in both crafting and conceptualizing. He is more than happy to help you articulate your thoughts into the perfect engagement ring.. Perhaps your design could be based on a memorable day, or include something which represents your life and love. As a starting point, Wuen Ho will explain to you on the structure of a diamond ring. It will help you to create something timeless and beautiful. Choosing your diamond is a truly satisfying experience: learning how to use a loupe and learning how to identify the 4Cs – colour, clarity, carat and cut from an expert is an amazing life lesson!As you will find out, it’s not as simple as comparing prices between one HSI diamond to another. Every diamond contains its own unique characteristics. You need to look closely, take your time, and HOD guarantees you will find the perfect stone which you will fall in love with. If you want something unusual, HOD’ll be able to source it for you. Once you’ve selected your stone, the next step is to refine the details of the finished piece and visualize the final product before its creation. Whether it be a design of your own or one you have seen online, you may refer it to the designer which he or she will then do hand-drawn sketches to visualize your ideal ring. Finally, it is now time to bring your bespoke ring to life. Depending on your desired design, your piece may be hand forged, created from bullion, made from pre-formed parts, constructed on CAD and then casted, or may use any combination of these techniques. Either way, there’s a lot of hammering, bending, soldering, sawing and filing involved! With House of Diamond, it’s more than just the jewelry. The high quality stone and artisanship,courtesy of the House of Diamond, ensures that the ring will retain its beauty for ages even with everyday wear and tear.. Flyingindance can’t stress enough how important it is to ensure the quality and ethical source when purchasing an engagement ring, and House of Diamond can be trusted for both. Have a look at the engagement ring 👇🏻 below. If you noticed, there is no gap between the solitaire and the prong, which is exactly how I love my ring to be and the only way to get this is simple – Go bespoke! Aside from their engagement rings, I love their pearl necklaces as well. Till now, I still couldn’t decide on which pearl to get even though you guys had voted for me. By now, your ring is completed and there is only one thing left to do. It is time to present it to your loved one. Take a look at my final product! You don’t mind if I flaunt it? Bespoke jewelry is all about beauty, longevity and individuality. The House of Diamonds will love to know more about you and your stories to create a timeless piece which is uniquely yours. This is my Instagram post that created strong public interest. Slide left to view the video (look out for the glitter-sparkle–twinkle-shine!). You have probably heard it said a million times "diamonds are a girl's best friend ". Rightly so, every woman would love to receive her first diamond 💎 or add on to her collection. In a woman's ownership, a diamond✨ can do a lot, but it doesn't define a woman's worth. Ask any woman who has ever gotten a diamond 💎 as a gift and they will say it's the best gift they have ever gotten. Cause they are truly a forever stone. 💍@officialhod . Thank you for reading, if you like my tips, share it with your friends! The above is purely of my own honest opinion. angelababy engagement ringbespoke engagement ring Kuala Lumpurbespoke engagement ring Malaysiachoosing a diamond ringdiamond ringsengagement ringHouse of Diamondhow much to pay for a bespoke ringhow to choose a diamond ringhow to design a diamond ringlady gaga engagement ringunique diamond ringwhere to make a customise diamond ring in Kuala LumpurWhy you should consider a bespoke engagement ring?